PRE-SCHOOL CLASSES: for boys & girls from 2 years. READY SET DANCE - Exclusively available in Wellington, only at L.O.D Dance Studios 9 Broomhedge St!!! , A one hour combo class of Jazz, Tap, Hip Hop, Singing, Music and a whole lot of fun! MAGICAL MOVEMENT - pre-school classes for the budding ballerinas from 3 1/2 years! SCHOOL AGE CLASSES: in RAD Ballet; AJDA Jazz & Tap; Contemporary; Commercial Dance,;Hip Hop, & Conditioning classes. There will be something for everyone at L.O.D! Teaching Love of Dance is what we are passionate about! 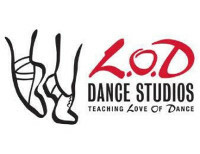 L.O.D Dance Studios offer high quality Ballet, Jazz and open classes to students of all ages - from pre-schoolers right through to adults. We have purpose built premises in Newtown, including 3 dance studios with specially sprung floors, girls and boys dressing room, and reception with a viewing window. As well as offering examinations in both ballet (RAD) and Jazz (AJDA), all students also get the opportunity to perform in the annual end of year show, which is always a highlight for all! Senior students often perform at many community events too, including various "Dance Your Socks off Festival" events, and International Dance Day. Our qualified and experienced teachers and limited class sizes allow us to work with our students to the best of their abilities within a structured and nurturing environment. For more information please visit our website or call L.O.D Dance Studios today to enrol.